Every maker has a story. 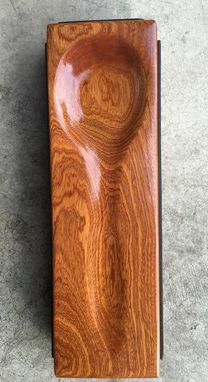 Be a part of WormWholeWoodWorks's story by placing an order, leaving a review, and seeing your review appear here. 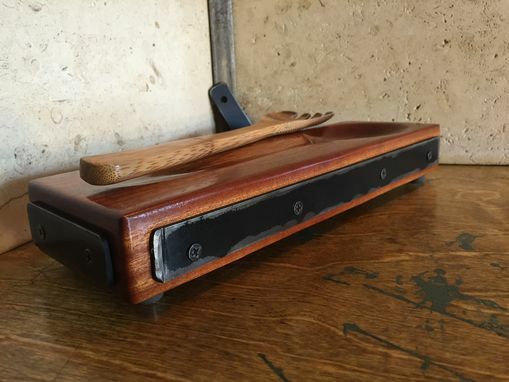 These unique spoon rests are handmade, using hardwoods and steel. Each is a rare work of art, lending itself to the inner beauty of the individual cut of wood. They are durable and stain/water resistant, withstanding everyday use and cleaning. Elegant, yet rustic and industrial, every piece is constructed from a variety of hardwoods, allowing options able to compliment any decor. 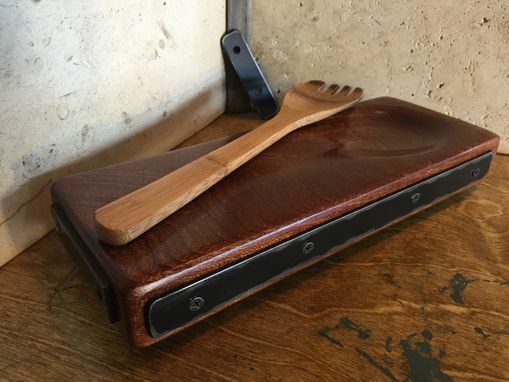 After purchasing several spoon rests of our own that failed to stand up to fragility, we decided to create our own concept. We wanted something beautiful, while nearly indestructible, that would reflect our love of nature and the industrial design. Each is treated with a maintenance free and food safe finish. They are fitted with heat resistant bumpers on the underside, enabling them to sit safely on your stove top without melting or scratching. 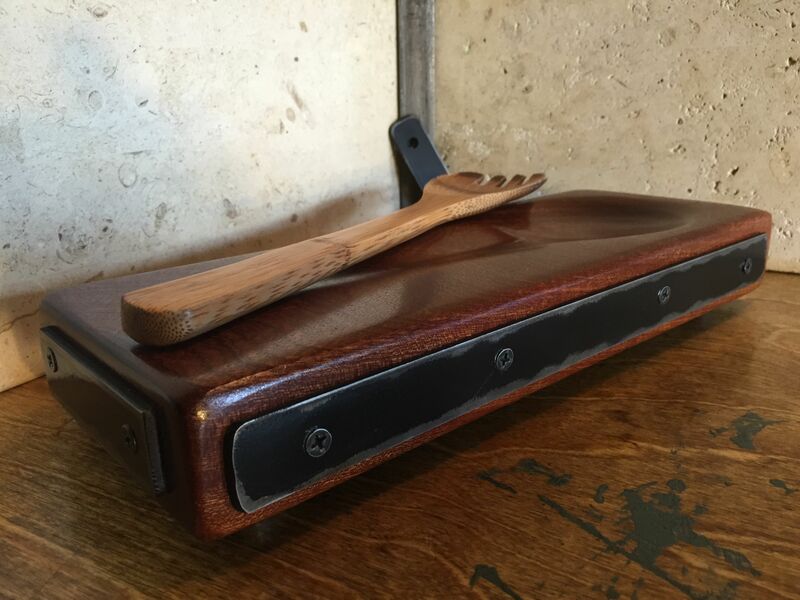 Look for complimentary kitchen accessories in the near future from WormWholeWoodWorks. Size: approximately 12"x3-4" weight: approximately 3 lbs.